Every evening we come before our Blessed Mother, bringing her a collection of our day’s efforts. She gracefully produces a gift of value and, in November, we are emboldened to ask if any of it could be applied to the Holy Souls in Purgatory. November is the month dedicated to the Holy Souls, and they are then especially, during these thirty days, entitled to the help of the Church Militant in reducing their sufferings. Anything we can do to aid them is offered to Mary, the Mediatrix of All Graces, who is ever ready to assist us in life and in death. 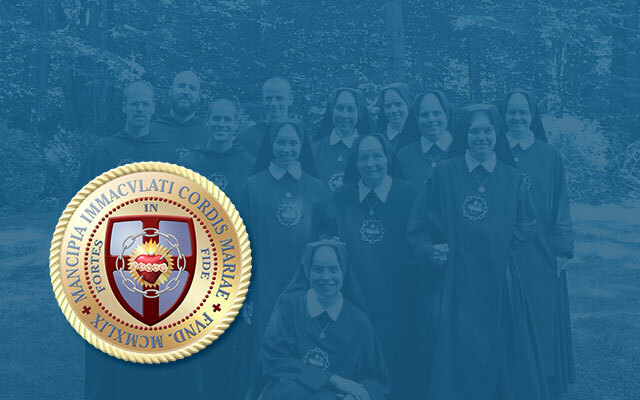 As her consecrated children, we have already given her the value of all our thoughts, words, and actions; nevertheless, as loving sons and daughters, we are also encouraged to join our Holy Mother in her maternal solicitation for the Church Suffering. 1) Those who depart this life stained by venial sins and imperfections. 2) Those who have repented sincerely of their mortal sins, but died without having done sufficient penance for them. These souls cannot enter Heaven until they are purified, but their salvation is assured and this is why these joyful souls are granted title of holy. Fr. F. X. Shouppe, S.J., in his 1893 work, Purgatory, tells us that Holy Mass is the most efficacious means of relief for the holy souls, but there are many additional works of mercy we can perform for them, including our own Holy Communions, alms-giving, fasting, recitation of the Rosary, and many other prayers. Remember, too, that when we pray for the holy souls, they, in turn pray for us, for they cannot help themselves. 1) Wearing of the brown scapular. 2) Observance of chastity according to one’s state in life. or, with the permission of a priest, the substitution of some other good work. Purgatory, that great mystery of justice and mercy, is the temporary home of countless neglected souls. Let us say, with the Blessed Virgin, “Pie Jesu Domine, dona eis requiem” (Dies irae).